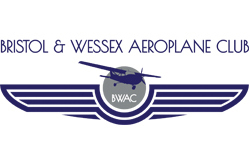 A friendly, professional flying club based at Bristol Airport. With a great view of the airfield, indoor/outdoor seating and a licensed cafe and bar, the club is open to all and has plenty of free parking. Offering a whole host of training from the Private Pilots Licence (PPL) through to the Night Qualification and IMC Rating, and If you are new to the world of aviation we also provide a wide range of trial lessons as tasters, or to get you started on the road towards a PPL. We also have our own full motion flight simulator available for training and simulator experiences. Our highly professional instructors have an admirable reputation for their excellent standards.